Biosafety cabinets (BSCs) come in three classes. 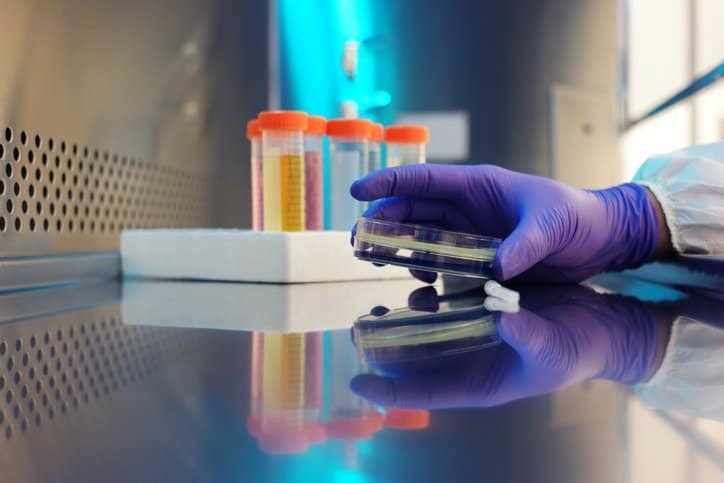 The higher the class, the greater the protection afforded to personnel, products, and the surrounding environment from various hazards that can emerge while working with pathogenic agents. Biosafety cabinetry rated Class I provides personnel and environmental protection but no product protection. Class III biosafety cabinets are designed for work with highly infectious microbiological agents and similar hazardous operations, so they provide maximum protection for the environment and worker. 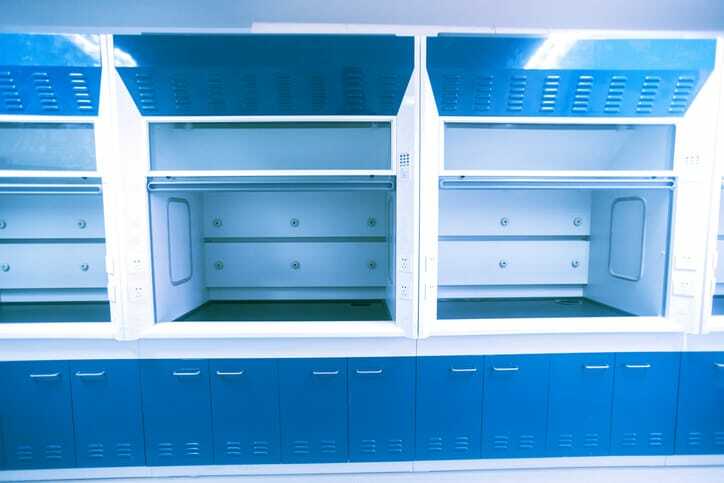 Class II biosafety cabinets are somewhere in-between—specifically, they contain partial barrier systems that rely on the movement of air to provide personnel, environmental, and product protection. These are covered in NSF/ANSI 49, which has just been revised. The current edition of this American National Standard is NSF/ANSI 49-2018: Biosafety Cabinetry – Design, Construction, Performance, And Field Certification. NSF/ANSI 49-2018, like its predecessor, applies to Class II, or laminar flow, biosafety cabinets designed to minimize inherent hazards in work with agents assigned to biosafety levels 1, 2, 3, or 4. It outlines basic guidelines for their design, construction, and performance. BSCs designed and tested under NSF/ANSI 49-2018 guidance are assured reliable operation, durability and structural stability, cleanability, limitations on noise level, illumination, vibration, and motor/blower performance. In Annex A, the standard now recognizes that factors outside of the control of the manufacturer can lead to failure, and it includes new language regarding confirmation tests. In addition, there are some other revisions to the section on the cross contamination test procedure. Information on airflow alarm systems has been added, including guidelines for testing Type A1, A2, or C1 airflow alarm systems and language regarding integral airflow alarm systems to meet the criteria of the standard in figures found in Annex E.
New section in Annex E, “Risk assessment of BSCs exhaust system pressurization in the event of an exhaust system failure,” has been added. This section reviews the various BSC types’ specific reaction to an exhaust system failure, the amount of positive pressure, the duration of operation of the BSC in the alarm state, and factors that should be considered in preforming a risk assessment of the exhaust systems. The language referring to certification has been revised throughout the standard. New language has been added to section 1.3, noting that major modifications to the software of biosafety cabinets can affect the safe use of the cabinet. These effects include, for example, the ability to see, hear, and understand alarms. Provisions for the optional use of digital plates have been added to Section 5. The minimum inflow average inflow velocity per 1 foot of work area width of Type C1 cabinet volume rate has been added, alongside existing data for Type A2, B1, and B2 cabinets from the previous edition of the standard. The use of “and/or” has been updated in use for this version of the standard. The section on electrical wiring and switches has been revised, noting that cabinet wiring diagrams should be accessible by downloadable barcode, permanent label, or sealed plastic pouch attached to a cabinet panel or surface outside of air plenums systems. NSF/ANSI 49-2018: Biosafety Cabinetry – Design, Construction, Performance, And Field Certification is available on the ANSI Webstore.